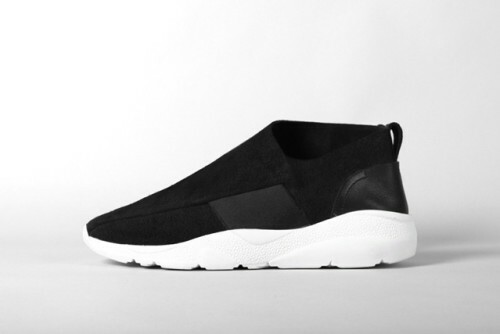 This is a relatively new brand on the footwear scene that's a bit avant and all cool. 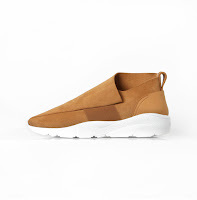 Cassia is an Italian sneaker brand designed by Manuele Bianchi that uses draping, wrapping and tying to manipulate materials like reverse leather, mesh and nylon into footwear works of art. Featured here is the Vetta Sneaker that has a strong fold in the half perforated, reversed calf leather then covers and secures to a piece of wide elastic for security and a striking visual effect. Set onto a sturdy and ergonomic rubber sole and the trifecta of beauty, comfort and brains is achieved. 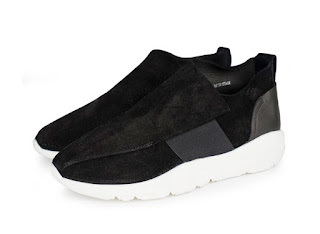 Available now in both color ways at Casbia.com.